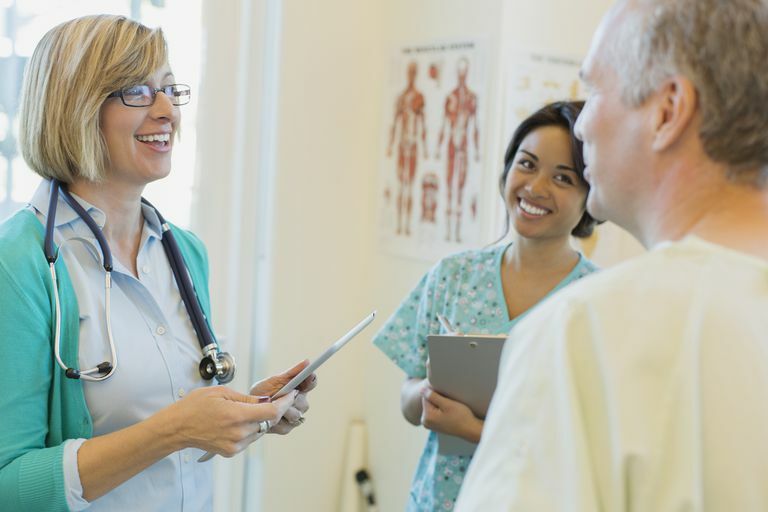 A primary care physician, or PCP, is considered your main doctor. They are responsible for dealing with the majority of your health care issues. Depending on the type of health insurance you have, your insurer may require you to have a PCP. In the past, these physicians were known as family doctors or general practitioners. Today they are called primary care physicians or primary care providers. Your PCP is a generalist and can address most of your healthcare needs. In the event that you have a problem that's more complex than she can manage, your PCP will refer you to an appropriate specialist. This may include a surgeon, a psychiatrist, or a cardiologist, for example. You’ll go to your PCP for your yearly physical exam and preventive health care. She will help you determine any medical concerns you’re at risk for developing in the future. She will also give you advice on ways you might be able to prevent those problems or decrease your risk. You’ll also go to your PCP for non-emergency problems that arise unexpectedly. For example, your PCP will fix you up when you have a miserable cold that settles in your chest and just won't go away after a week. Did you tweak your back while giving your dog a bath? Your PCP’s office should be your first stop. Your primary care provider is also good at managing most chronic medical problems. If you have high blood pressure, diabetes, acid reflux disease, or osteoporosis, your PCP will help you keep these under control. In some cases, your PCP may work together with a specialist to manage chronic medical problems. Take rheumatoid arthritis as an example. A rheumatologist may be involved in the initial diagnosis and treatment of the disease. He may turn routine care over to your PCP once the disease is well controlled by medications. Your PCP will then follow up on routine blood tests and prescription refills. She may send you back to the rheumatologist if you have a flare-up, your symptoms get worse, or you develop complications. In these situations, your PCP is the key member of your healthcare team. Quite often, she is your primary contact who can help guide you along the way. Perhaps the most valuable role primary care physicians fill is also the least understood by the general public. PCP’s are experts at coordinating care. If you’re healthy, this won’t mean much to you. But if you develop complicated medical problems, need multiple specialist physicians, or are in and out of the hospital, you’ll appreciate good care coordination. In the role of care coordinator, your PCP is the team captain. She knows what each of the specialists is doing and makes sure they’re not duplicating tests or procedures that have already been done by another specialist. Do you have 20 active prescriptions from different doctors? Your PCP makes sure they’re all absolutely necessary and compatible with each other. Recently hospitalized for heart problems and now ready to start cardiac rehab? Your PCP will help keep your arthritis and asthma under control so they don’t prevent you from participating in the cardiac rehab program you need. What Types of Doctors Can Be PCPs? In the United States, primary care providers can be a physician, physician assistant (PA), or nurse practitioner (NP). PAs and NPs usually practice under a physician and are known as mid-level providers or physician extenders. Primary care physicians are usually family practitioners, internal medicine doctors, pediatricians, geriatricians, or obstetrician/gynecologists. A family practitioner (FP) is a doctor who has gone through medical school and completed a three-year residency in family medicine. This residency provides training in the care of adults, kids, the elderly, and pregnant women. However, most FPs choose not to offer pregnancy care as part of their practice. Internal medicine doctors (or internists) are physicians who have gone through medical school and completed a three-year residency in internal medicine. This provides training in the care of adult and elderly adult patients but doesn’t usually include children. Internists receive extensive training in the body’s internal organ systems, hence, the name internist. Pediatricians are doctors that specialize in the care of children. They’ve completed medical school and a three-year residency in pediatrics. A pediatrician can be your child’s PCP, but not for an adult. A geriatrician is a doctor that specializes in caring for the elderly. After medical school, they will complete a three-year residency in either family practice or internal medicine. They then do a one- to three-year fellowship in geriatric medicine. Obstetrician/gynecologists (OB/GYN or OBGs) are physicians who specialize in treating diseases of the female reproductive system. They’ve completed medical school and a residency in obstetrics and gynecology. While they're technically specialists, many healthy women of child-bearing age see their gynecologist more often than any other doctor. They consider their gynecologist to be their PCP. As a result of the Affordable Care Act (ACA), women are not required to receive a referral from another doctor to see an OB/GYN. Referrals from an OB/GYN must be treated as acceptable in terms of specialist referrals required by managed care plans. Essentially, the ACA allows a woman the option to select an OB/GYN as her PCP. Why Does Having a PCP Matter? If your health insurance is an HMO or a POS plan, your insurer will require you to have a PCP. If you don’t choose a PCP from the plan’s list of in-network PCP’s, the plan will assign you one. In most HMOs and POS plans, your PCP acts as a gatekeeper to the other services included in the health plan. For example, in an HMO, you won’t be able to see a cardiologist or get physical therapy unless your PCP refers you. Even if your health insurer doesn’t require you to have a PCP, it's a good idea to choose one. Having a family doctor—even if you don’t have a family—is an important part of keeping yourself healthy in the long run. When you do get sick, your doctor already knows you and your medical history as well as how you look and behave when you’re healthy. They also understand you’re not a hypochondriac or just looking for narcotics, which can be very helpful. Department of Health and Human Services, Text of the Affordable Care Act.